Sustain its annual trends, Google on Friday released the Best of 2017 list of most popular apps, games, music, movies, and books globally on Google Play store in 2017. This list includes dedicated statistics of what trended the most among Indians. Best of 2017 Movies, Dear Zindagi is the amazing movie and very popular in this year on Google Play in India. The best listened to the song Saahore Baahubali in this year, followed by Ik Vaari Aa by Arijit Singh, Badshah’s Mercy. 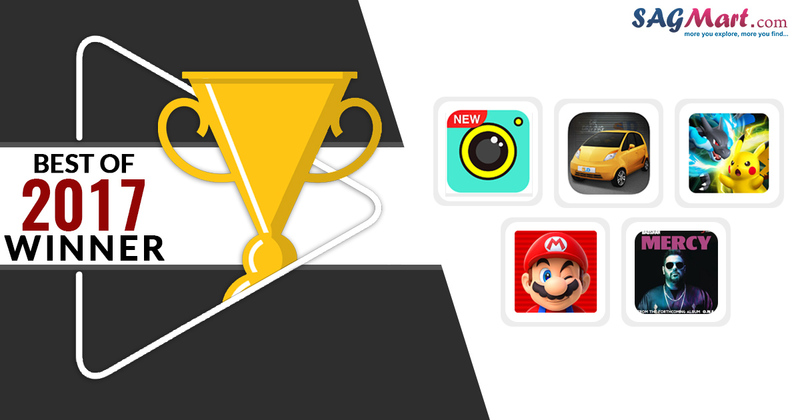 Moving to the most popular apps list of best of 2017, Photo Editor – Beauty Camera & Photo Filters and Messenger Lite led the race in the country. Talking about the gaming applications in 2017, top of the list in Baahubali: The Game, which is obvious considering the arrival of Baahubali 2 this year crushed many box office records. This is followed by Pokémon Duel, WWE Champions, Super Mario Run and Dr. Driving 2. Taking to best of 2017 books, An Unsuitable Boy topped the list and other by New Media Wing’s India 2017, from Karan Johar, Rishi Kapoor, and Raghuram G. Rajan as the top slots. In music, the most popular Saahore Baahubali by M.M. Keeravaani dominated the Play Music followed by Ik Vaari aa from Arijit Singh. Best of 2017 Tv shows on Google Play – Furthermore, while the class isn’t accessible for Indians, Google has likewise shared the most famous TV shows of 2017 on the Play Store internationally, which include Game of Rick and Morty, Thrones, The Big Bang Theory, The Walking Dead, and Doctor Who. Here, You can find the complete Google Play Best of 2017 List of the most leading content in this year, as well as around the globe.